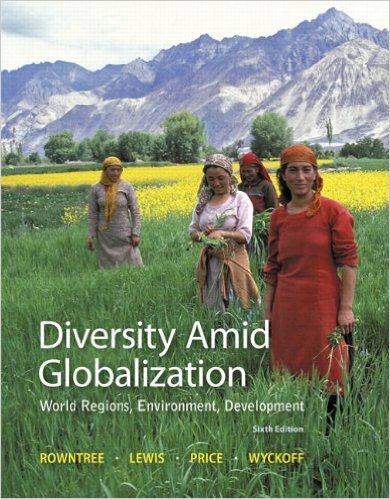 Several weeks ago, GeoCurrents noted that the place name “Afghanistan” had been geographically displaced, as it originally referred to a region in what is now northwestern Pakistan. 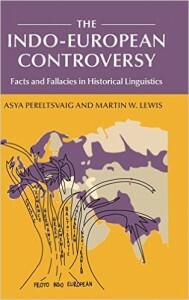 Left unsaid was the fact that such toponymic displacement is common. Over time, the areas denoted by place names often expand, contract, or move laterally. If one is not aware of such dislocations, confusion can result. 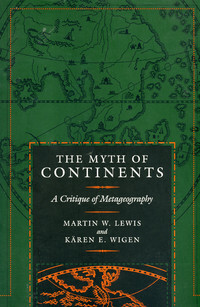 The historical displacement of place names is especially pronounced in Africa. “Africa” itself is a prime example. “Afri” was originally a Latin term for either the Carthaginians, a people of Phoenician descent, or a group of their Berber neighbors; under Roman rule, the province of Africa encompassed modern Tunisia and part of northwestern Libya. After the Muslim conquest, the same area came to be called Ifriqiya in Arabic. 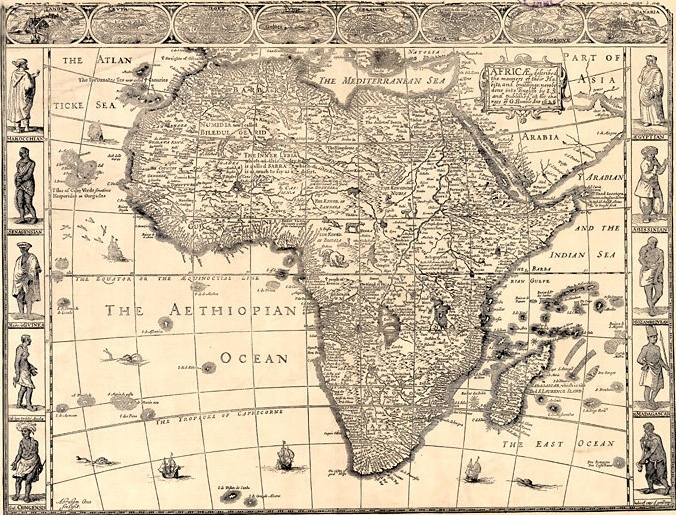 In the late classical European imagination, the area called “Africa” gradually expanded. By medieval times, the word had come to denote one of the three major divisions of the world, alongside Europe and Asia. 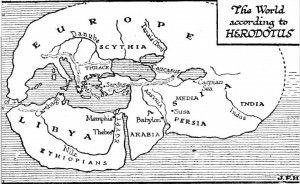 Ancient Greek geographers had previously devised this three-fold continental scheme, but they called the African landmass “Libya.” Greek scholars, however, disagreed over where Libya should be bounded. Some limited it to the lands west of Egypt, and others placed the continental divide on the Nile itself, splitting Egypt between Libya and Asia. 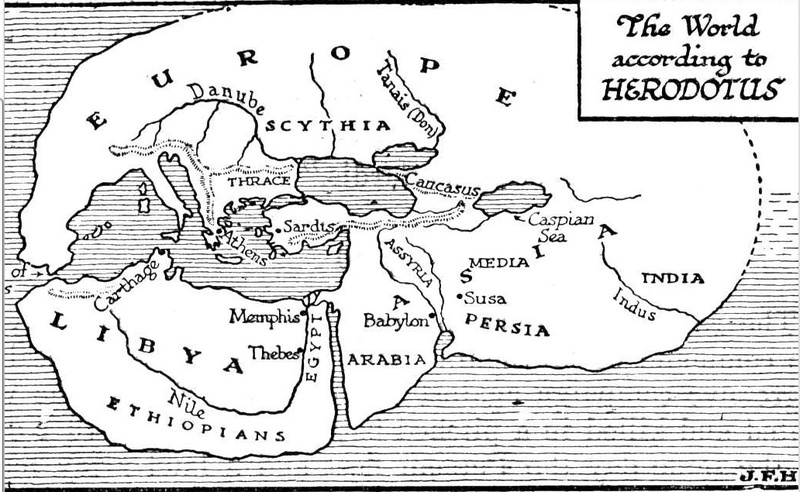 Herodotus and his followers considered such usage absurd, and thus applied “Libya” to the entire landmass. 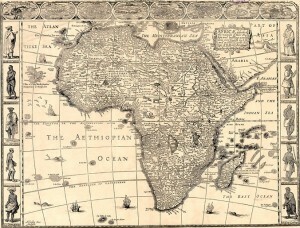 The term eventually dropped out of use, replaced in Greek itself by a variant of “Africa” (Αφρική). In the early twentieth century, Italian imperialists, fixated on classical precedents, revived the name. In 1934, they combined their North African colonies of Cyrenaica and Tripolitania into a single “Libya,” which later became the independent state of the same name. Although the ancient Greeks used “Libya” as the continental place name, they tended to restrict the term “Libyan” to North Africans of Berber background. They called peoples living further to the south “Ethiopians” (or Aethiopians), just as they called the lands below the Sahara “Ethiopia,” including the upper Nile Valley south of Aswan. As the only people of this region familiar to the Greeks were the Nubians of what is now northern and central Sudan, “Ethiopia” often functioned as a synonym for the Nubian kingdom of Kush (or Meroë). The country now called Ethiopia vaguely fit under the same designation, but knowledge of it was scanty at best. The ancient Greeks also used “Ethiopia” to signal other unknown or quasi-mythical lands located to the south or east of the Mediterranean. As a result, even parts of India came to be regarded as “Ethiopia” in some accounts. In European usage, “Ethiopia” did not refer to the modern country of that name until the second half of the twentieth century. 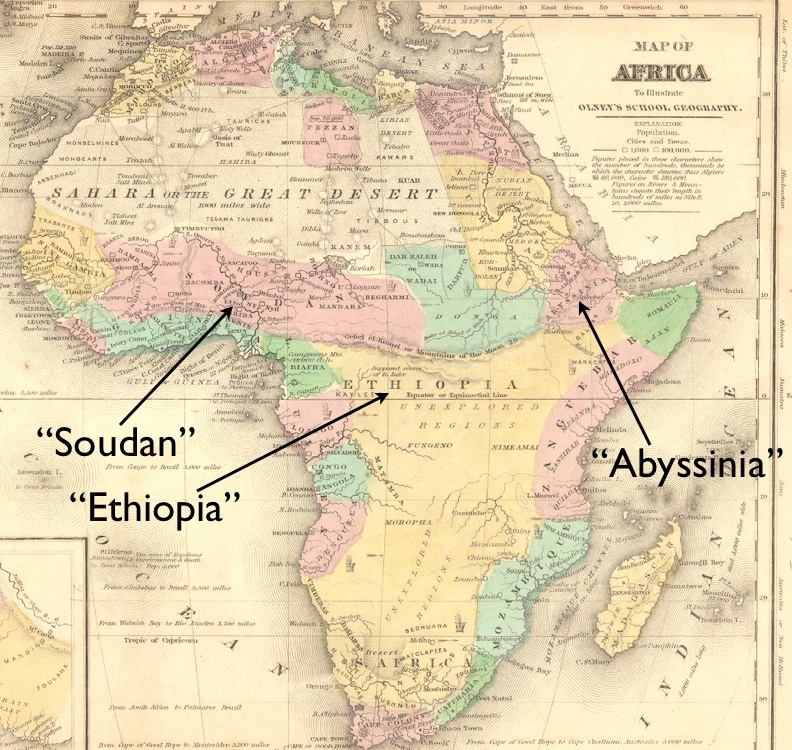 Previously, the Ethiopian kingdom (or empire) was generally called “Abyssinia,” a term derived from the Arabic ethnic designation “Habesh.” Yet in both Ge’ez, the sacred language of Ethiopian Christianity, and the modern Ethiopian Semitic languages (Amharic and Tigrinya), the country has long been called Ītyōṗṗyā. Ītyōṗṗyā is generally thought to be derived from the Greek “Ethiopia.” Some experts reject the connection, however, arguing that the “Book of Aksum, a Ge’ez chronicle first composed in the 15th century, states that the name is derived from ‘Ityopp’is,’ a son (unmentioned in the Bible) of Cush, son of Ham who according to legend founded the city of Axum.” Regardless of its ultimate origin, “Ītyōṗṗyā” certainly sounds as if it were a cognate of “Ethiopia.” Yet even in Ethiopia itself, the Arabic-derived word “Habesha” still denotes the core Semitic-speaking ethnic groups, and is sometimes applied more broadly to all peoples of the country. The “Habesha” people are not limited to the modern state of Ethiopia, as they extend into Eritrea. 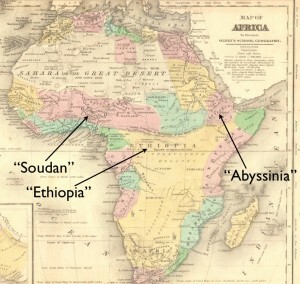 By the same token, “Abyssinia” historically included much of northern Eritrea as well. The separation of Eritrea from Ethiopia was largely the result of Italian imperialism; in the late 1800s, the Italians conquered the area now known as Eritrea, but failed to annex Ethiopia proper. Just as they did in Libya, the Italian imperialists adopted a classical name for their new colony. “Eritrea” derives from the Greek Erethria, meaning “red land,” associated historically with the Erythraean, or Red, Sea. As the modern country of Eritrea fronts the Red Sea, the term seems geographically appropriate. 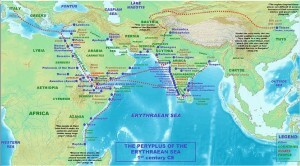 But to the ancient Greeks, the Erythraean Sea was what we would call the Indian Ocean. 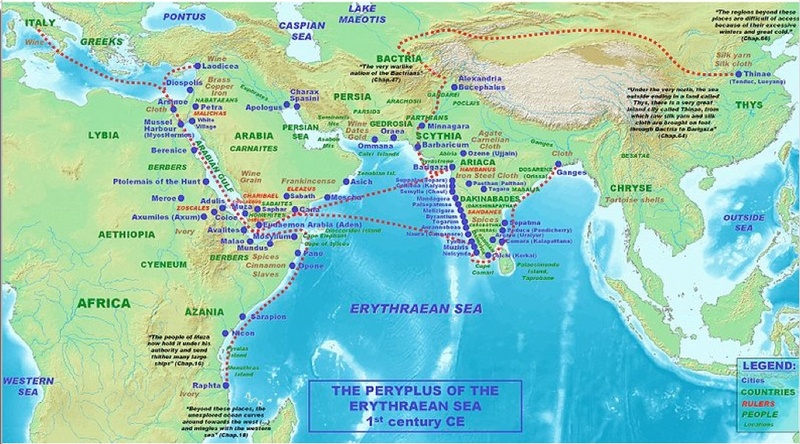 The ancient Greek maritime manual called the Periplus of the Erythraean Sea, for example, details trade routes extending to eastern India. The water-body now called the Red Sea was then deemed the Arabian Gulf. The term “Sudan” has undergone its own migrations. This place name derives from the Arabic bilâd as-sûdân, or “Land of the Blacks,” essentially referring to Africa south of the Sahara. “Sudan” was later used by Europeans to cover the relatively fertile and well-populated belt of land south of the Sahara and the Sahel. In the late 1800s, a vast track of land in West Africa was organized as the “French Sudan Territory.” Further to the east, the British designated their corresponding sphere the “Anglo-Egyptian Sudan,” which became the independent country of Sudan in 1956 before splitting into Sudan and South Sudan in 2011. In environmental terms, only a small portion of Sudan and South Sudan are within the Sudan (or Sudanian) eco-region, a zone defined by its distinctive savannah vegetation. The places referenced by many place names have shifted over vast distances, with toponyms taking on different meanings as they are translated and as basic geographical conceptualizations change. Such transformations are unsurprising, as change is intrinsic to language itself. But they do present pitfalls for unwary readers. For years I assumed that when ancient Greek writers mentioned “Ethiopia” they were referring to the highlands of the Ethiopian Plateau, and I was dumbfounded to discover that they actually meant the lowlands of the Nile Valley to the south of Egypt. 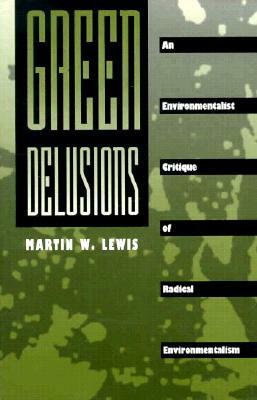 * I have written about this topic in “Dividing the Ocean Sea,” The Geographical Review, 1999. Vol. 89, number 2.